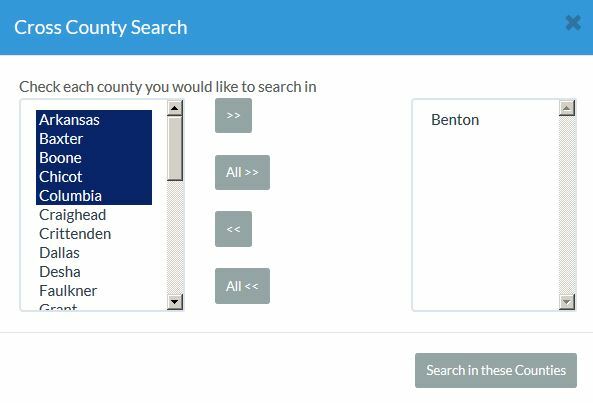 Performing an multi-county search on ARCountyData.com is easy. On the right side of the page click to add more counties to your search. Select the counties you wish to add to the search. Fill in the rest of your search criteria. You can view the multiple counties in your search results, reports and parcel detail pages.